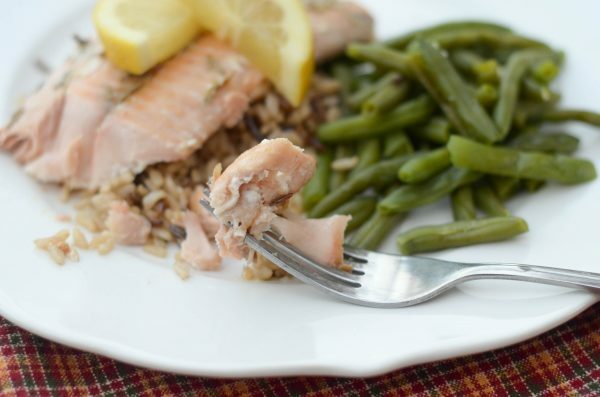 If you need a better-for-you, low-carb meal this Lemon Garlic Salmon is the perfect choice! Is it just me or is eating healthy or for lack of a better term, ‘whole’ foods expensive? Over the past two months I have completely changed not only what we are eating, but in turn what I was buying as well. That means my cart is now full of produce and meats as opposed to more processed foods before like chips and processed snack foods. I have to say though, my grocery bill has actually doubled since changing the way we eat. I’m a little surprised I guess that it would cost more to get more whole foods than it would processed foods that I would imagine take more time to create and package? Maybe I’m wrong, though? My husband and I have decided we are going to get back to gardening this summer again in hopes of eliminating some of that extra cost as well. I sure have missed having a garden. The past two years, we had some things come up that kept us from doing a garden, but this year we have it planned out so that we can get started! I’m anxious to start sharing recipes with our garden produce too, between that and having our own chickens surely that will help us eliminate a lot of extra cost. What types of foods do you stick to when trying to plan out healthy meals? One of the staples lately has become seafood, much more than it was in the past. 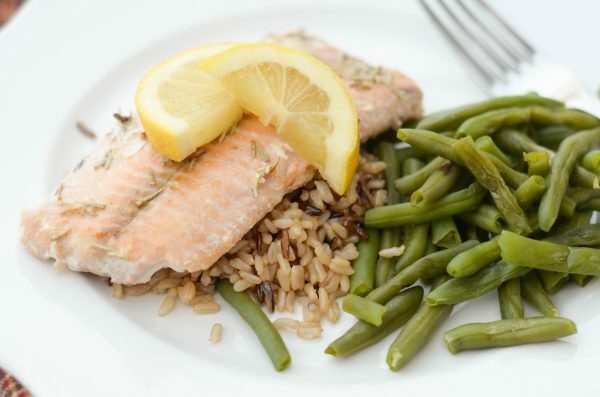 This Lemon Garlic Salmon is so simple to make and it’s delicious too. I paired it with a pilaf of wild rice and a side of green beans. I’ve also swapped out my regular milk lately for coconut milk. After the first few times of drinking coconut milk, I actually really love it now. It’s like my dinner time treat a glass of it with our dinner, perfect! 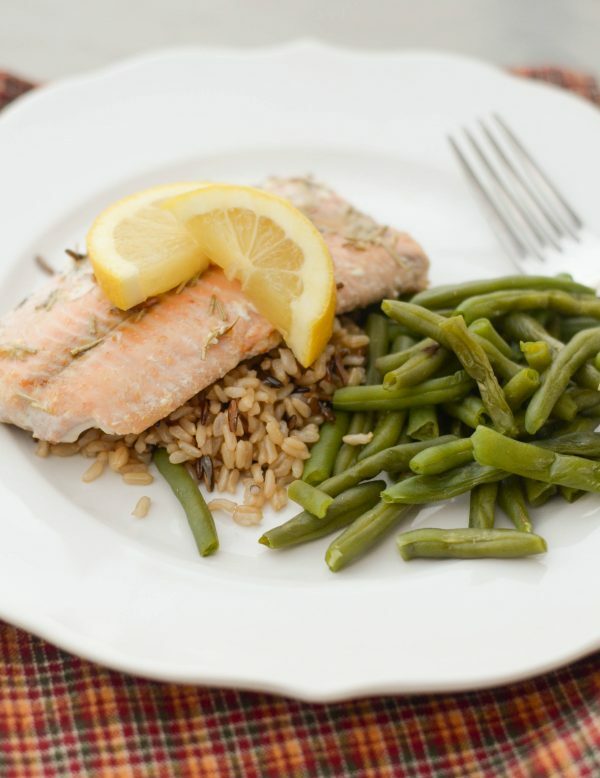 Now, I love to grill salmon, but I opted to make this salmon in the skillet. 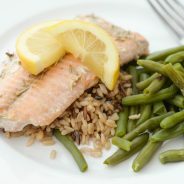 I mixed together crushed garlic and lemon juice, then I brushed it onto the salmon and let it marinate for a few hours. Once it’s time to cook, add a bit of rosemary and sear it on both sides in the skillet. The great thing with seafood is that it only takes a few minutes to make. 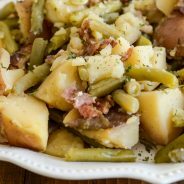 This dinner can easily be made in less than 20 minutes, so no excuses about lack of time either! What ways do you enjoy seafood? I’d love to hear some more suggestions of different cooking methods! Squeeze the juice from the lemons into a small bowl and mix with the garlic. Brush over each salmon fillet, let marinate in the fridge for at least 2 hours. Sprinkle the top with a dash of rosemary. 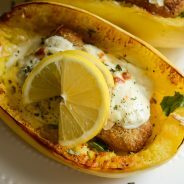 When ready to prepare, spray a skillet with non-stick cooking spray and cook on both sides for about 4-5 minutes, medium heat, or until the fish is easily able to flake with a fork.